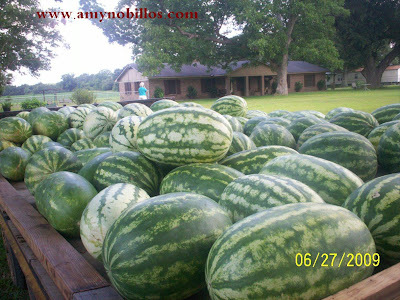 When we bought the watermelon two weeks ago, we bought other fruits and vegetables too. 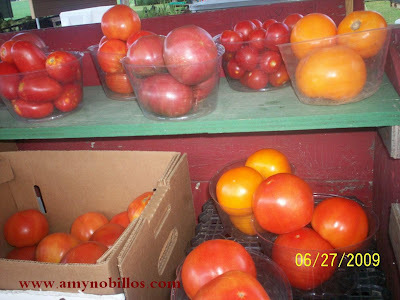 A basket of Peaches for $12, water melon $9 for 2 pieces, a basket of tomatoes for $6.00, 3 for a $1 - green pepper. 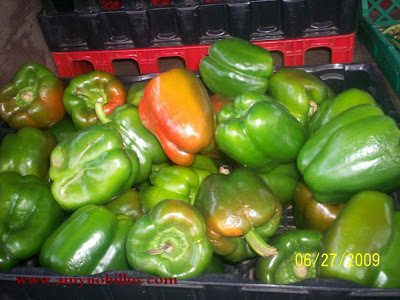 You will see these fruits and vegetables sold in some areas of US highway 90. 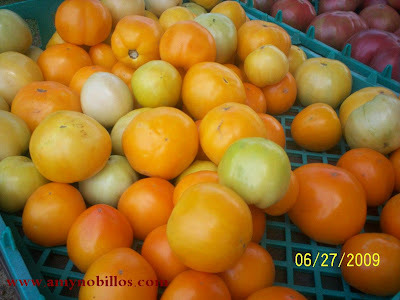 These particular fruits were local produce of Grand Bay, Alabama. When we travel from Florida heading to the East, we tried the route US Highway 98. If you are not in a hurry and just love sight seeing as you travel, you can observed the community of each town. 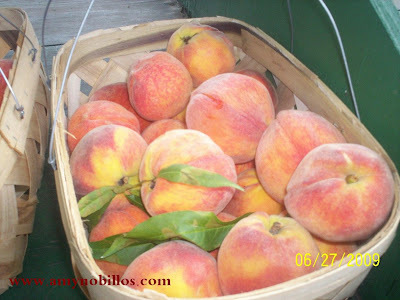 You will be amazed to seeing fruit stand like this and sold so affordable. Water melon is my favorite fruit. In fact, when I have migraine, this fruit helps me to cool down. I love the red flesh though. We bought two and the other water melon has yellow flesh, my first time to see actually. I do not eat tomato back home. I can only eat it when it is in Big Mac or added in burgers. Just recently, it is part of my lunch or dinner meals. I ate it with soy sauce, salt and pepper. Yummy! This pink tomato is really beautiful. It was $1.25 per lb. This is $3 per container. 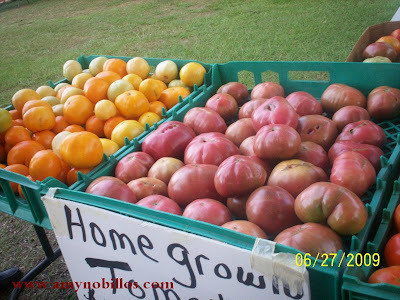 If you live nearby South of Alabama, North of Florida and West of Mississippi, visit Grand Bay Alabama because you certainly can buy fresh & cheap vegetables and fruits.